Green orbs are believed to be spirits tied to nature, such as nature sprites or nymphs. Some theories also include angels and various spirit guides. The connecting essence is the love of nature. A person who is connected in spirit to the natural world may be visited by spirits in the form of green orbs. 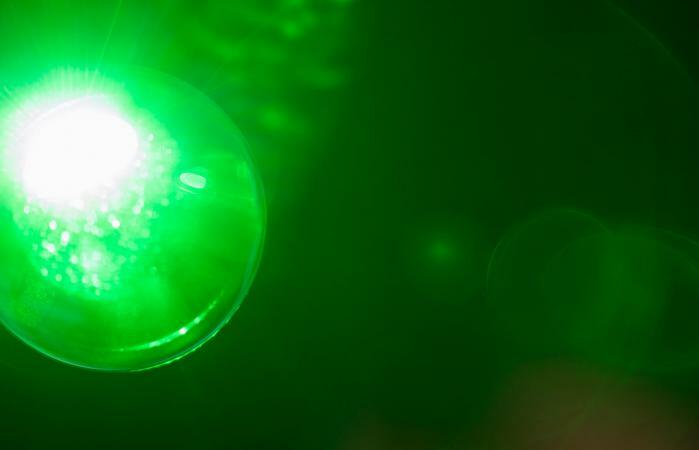 What does a green orb mean? It's believed that orbs often carry messages from the spirit world. These can be simple or complex truths, depending on the individual. A green orb may carry a message about a person's need for healing. This can be spiritual, emotional, mental or physical healing. Another possible message is that the spirit is there to deliver a healing to the individual. A third interpretation might be that the spirit orb is bestowing the person with the ability to heal. Some people believe that elemental spirits communicate in the form of green orbs their love for nature and encourage obtaining a oneness with nature. Some people believe that green orbs are nature sprites transforming into a visible form of energy so their presence is known. They are often tied to specific types of nature, such as a wood sprite found in a specific region. A field sprite may be found in meadows and fields. This connection to a specific area anchors them to the land and is where they work their magic. This connection to certain areas means you can only see them at that spot, unlike other orbs that are angelic and manifest wherever they choose. In ancient folklore, sprites are often referred to as fairies or elves. The sprites are believed to be elementals. For example, a wood sprite lives in the trees and cares for them and other vegetation in the forest. Folklore tells of wood sprites favoring specific trees, such as hawthorn, oak and ash. The color green is also a spiritual symbol for the heart. Some theories purport that the spirit orb is pure and chose to never incarnate. Instead, they remain in the spirit world to assist and guide those in the physical. The fourth chakra is the heart, and it is symbolized by the color green. When a green orb appears to you, especially in a nature setting, it may be in response to a blocked heart chakra. In this case, the message is to open your heart. Allowing love to enter your life can have a transformative effect. A blocked heart chakra stops the natural flow of energy up and down your chakra system and lesser chakras throughout your body. The blockage can be on an emotional or spiritual level. Getting rid of the chakra blockage will allow you to attain a higher spiritual vibration (frequency) for a better connection with divinity. The heart chakra brings you the ability to grow and develop a range of loving relationships. Not all green orbs are the same color of green. Each can carry a different message for divine healing and meaning. Some orbs are light green can may carry the message of the need to heal, symbolizing overcoming your current challenge(s). A medium green orb can signal it is time to use and stretch your healing abilities beyond your current limitations. Dark green orbs can be a warning to shed any pettiness you may be harboring, such as jealousy or envy. There are many possible green orb meanings. These can be on any level of being, such as emotional, mental, spiritual or physical. Consider meditation to understand the full meaning of these nature spirit messages.